BRAND NEW Fuel Filler Neck Assembly for 1977 Ford Bronco Front/Auxiliary Fuel Tank. This assembly includes the metal filler neck, plastic bucket with mounting gasket and connecting grommet. This assembly is made exclusively for Tom's Bronco Parts. 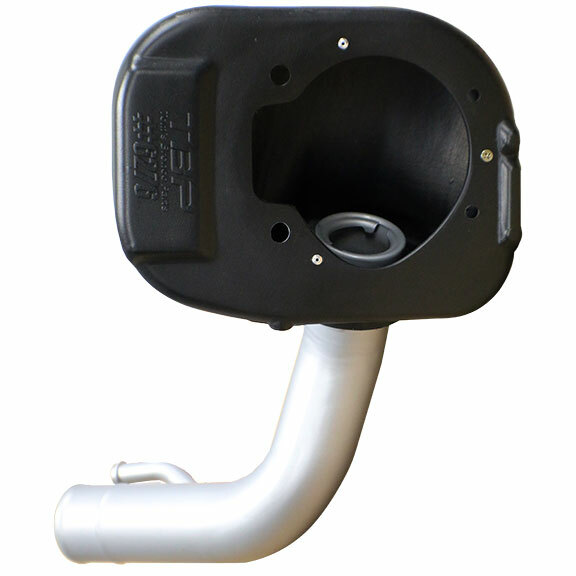 It is a direct replacement for your original 1977 fuel tank filler neck assembly.